Very few leaders can meet the demanding challenges of both politics and prose. John Mahama, Ghana’s president, is one of them. SIMON ALLISON reviews his evocative memoirs, which should be required reading for anyone trying to understand where Ghana went wrong – and what Mahama might do about it. I tried and failed to get even a glimpse of the exterior of Osu Castle, the president’s residence in Accra, Ghana. As I approached the building, I was stopped on its periphery by two burly guards who were happy to chat with me about world politics but weren’t going to allow me even a foot closer to the centre of power. Turns out I didn’t need their permission. If books are a window into the soul – and they surely are – John Dramani Mahama’s memoirs are a floor-to-ceiling glass pane, offering an unrivalled insight into the mind of the Ghanaian president. This is an accident. Mahama wasn’t president when he wrote it, nor when it was published in July. At that time, he was deputy to John Atta Mills and expecting at least another term as backup. 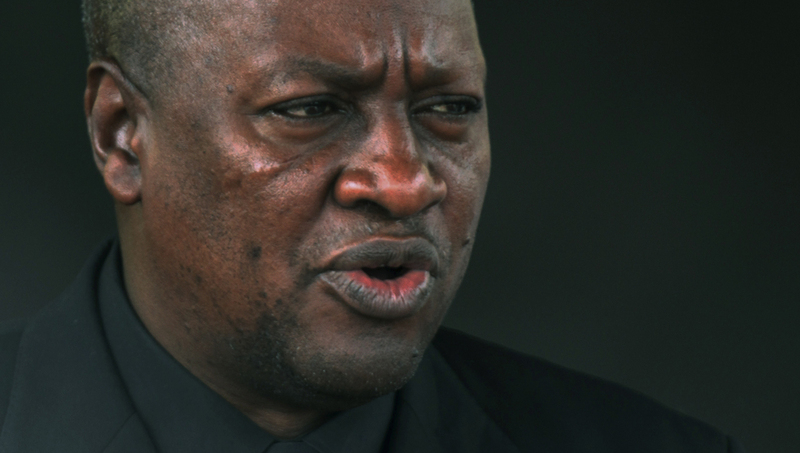 Then Mills died, without much warning, and Mahama was thrust into the global spotlight. He was swiftly confirmed as president and as party leader and will contest the elections at the end of this year, which are expected to be very tightly fought. Outside of Ghana, not all that much is known about Mahama, except that he is a teacher turned career politician and a loyal member of the ruling party. His book, My First Coup d’État, fills in some of these gaps. It is clearly aimed at an international audience. Some of the more laborious passages come when Mahama is filling in the basics of his country’s political history, or explaining terms and concepts that would be obvious to any Ghanaian. As foreigners, however, we need the explanations, and some of them form the basis for fascinating anecdotes in their own right. You know those large, square plastic bags that are ubiquitous across the continent? The colourful ones with the chequered patterns that can, if required, magically accommodate the contents of an entire household? In Nigeria, these are called “Ghana must go” bags, because that’s what Ghanaian refugees used to carry their things when they were unceremoniously booted out of Nigeria in the 1970s. Mahama was born just a year after Ghana achieved its independence in 1957, and his coming of age – as told in a series of loosely connected, almost fable-like stories – mirrors Ghana’s own development. In the good days, as Kwame Nkrumah is promising his African renaissance and Ghana is revelling in its new found freedom, Mahama is the most promising son of a wealthy minister, spending his time shuttling in a chauffeur-driven car between his elite boarding school and his various houses. Things swiftly go downhill for Ghana and its future president. Nkrumah is overthrown and a seven-year-old Mahama, accompanied by a school matron, has to wander the streets of Accra looking for his father, who has been arrested. This is the first coup d’état referenced in the title, and it is followed in due course by a second and a third. Political instability and misguided leadership destroys Ghana’s promising economy and throws Mahama’s family into chaos, and as he grows up he is looking for other political models. It’s the middle of the Cold War, and socialism is the most obvious alternative. There’s only one problem, as far as Mahama is concerned: how to reconcile his leftist leanings with his obviously bourgeois background and his father’s new career as an enormously wealthy rice producer? In fact, Mahama’s father looms large in the narrative, much as it does in another presidential memoir: Barack Obama’s Dreams from my Father. Unlike Obama, Mahama doesn’t delve at all into his father’s failings, choosing instead to present him as a wise, gentle patriarch. This doesn’t always ring true. Questions left unanswered include how Mahama senior obtained a lucrative rice export licence during a notoriously corrupt period of Ghanaian history; why he couldn’t keep a marriage together; and what exactly persuaded him to give away one of his sons to a British couple.